Star Wars and the ‘Fascist Aesthetic’. Tags: 'The Force Awakens', Fascism, George Lucas, History, History Faculty, Leni Riefenstahl, Michael Stelzer Jocks, Nazi, Propaganda, Star Wars. It is difficult to decide what Star Wars’ fans like to do more: Watch Star Wars, or identify all the influences and cultural references within the Star Wars film universe? Countless books, articles and blog posts have attempted to decipher the shoulders that George Lucas stood upon in making his space opera. Most people by now have heard that Lucas created a tale that fit Joseph Campbell’s meta-myth structure, or that he gave life to characters similar to those in the samurai films of Kurasawa, or that he sometimes blatantly copied old Flash Gordon television serials. Leni Riefenstahl was a famous, talented, groundbreaking German filmmaker in the late 1920’s and early 1930’s. And like many of her German cohorts of the era, Riefenstahl became a follower of Adolf Hitler and his Nazi party. She used her immense talents for the party, directing a number of full length propaganda films. ‘The Triumph of the Will’ is her most influential and troubling work. ‘Triumph’ is a roughly two hour celebration of the 1934 Nazi party rally in the Medieval city of Nuremberg. 120 minutes of Nazis goose-stepping and cheering the ‘Führer’. If you have in your mind’s eye an image of fascist spectacle, it has probably been molded by Riefenstahl’s film. Riefenstahl’s films were as artistically influential as they were politically abhorrent. Filmmakers could not ignore her innovative cinematography. Her techniques of wide shots, crane shots and sweeping cameras were co-opted by many after her. When I first saw ‘Triumph’ as a sophomore in college, I realized Lucas was one such director. Riefenstahl made the 1934 Nazi rally look massively popular and powerful by setting a camera high above the whole parade grounds, recording thousands upon thousands of Nazi party members lined in rows. In such shots, the Nazi hordes are a man-made sea, being parted by the all- powerful leader, Adolf Hitler. In the same film, Riefenstahl records Hitler high above the masses, standing upon a giant concrete viewing station and watching stoically as his SA and SS march by on the parade ground. When viewing such scenes, it is impossible not to see Darth Vader and the Emperor marching through masses of Imperial Stormtroopers. Lucas made such scenes even more powerful by using John Williams’ ‘Imperial March’. In this, he was no different than Riefenstahl, who used music in much the same way. Of course, the music she chose for her celebratory film made the Nazi Stormtroopers seem heroic, whereas Williams’ march makes Vader’s Stormtroopers dreadful. For Lucas, the Empire and its’ leaders become the personification of political evil by being the reincarnation of Riefenstahl’s Nazis. The empire is fascism revived. With such thoughts in mind, I must say I was excited to see if J.J. Abrams would continue utilizing the ‘fascist aesthetic’ of Riefenstahl for ‘The Force Awakens’. I was not disappointed. With modern computer graphics, Abrams was able to do so even more effectively, and spectacularly than Lucas. Abrams’ ‘First Order’ feels fascist. The military outfits, the giant image of the supreme leader and the symbology that surrounds the movement illustrates that Abrams continued the fascistic look of evil from Lucas’ galaxy. Like Lucas, Abrams used Riefenstahl as the ‘First Order’s’ reference point. Just look at the apocalyptic speech by General Hux, as he prepares his troops for the destruction of the Republic. Wearing military haute couture, Hux stands on a massive concrete platform with red ‘First Order’ banners hanging behind him. He speaks to thousands of ‘First Order’ troops lined in formation. When he is finished, the troops raise their left hands in salute. Hmm, that definitely looks familiar, doesn’t it? Riefenstahl and fascism are living on in this new Star Wars galaxy. Happily, Rey, Fin, Chewy, Leia and Luke will be fighting it in Episodes VIII and IX. We must do the same in our own galaxy. Saturday mornings in my house mean listening to Weekend Edition on National Public Radio. This Saturday, my wife and I were preparing breakfast, having our coffee, when the host of the show, Scott Simon, had a quick one minute aside about the French trying to control the English language’s dominance of social media terms. Evidently, many of the French don’t enjoy all this English terminology within their lexicon and the term ‘hashtag’ is the latest concern. This seemed like a light little story, until Simon reported a darker twist: One group called Avenir de la langue française (Future of the French language) ratcheted the discourse up a couple notches by recently proclaiming that this ‘English invasion’ threatens the “French language more than the Nazis did.” I was in awe of this hyperbole. This crap makes me really angry. In one sense, this story makes me feel better about American culture since I was under the delusion that this type of rhetoric was exclusively a province of American politics. On the other hand, it frustrates me to no end when anyone plays the compare-this or that-to-Nazism game, and unfortunately, it seems this practice is becoming close to the norm in the public arena. The most noticeable example is in the realm of political rallies. The Tea Party has taken this to an extreme in their gatherings, especially when it comes to their disdain for President Obama. 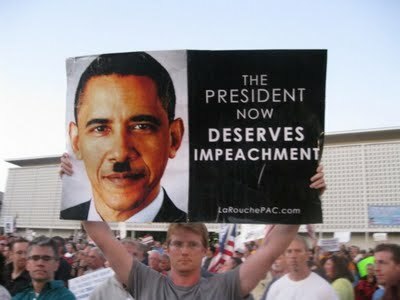 Google ‘Tea Party Rally Obama Hitler sign’ and you will see some quite radical examples of this rhetoric. However, this attack method is not the exclusive province of the right-wing Tea Party. On the left, anti-war protestors had a field day making signs and posters that equated President George W. Bush to Hitler. 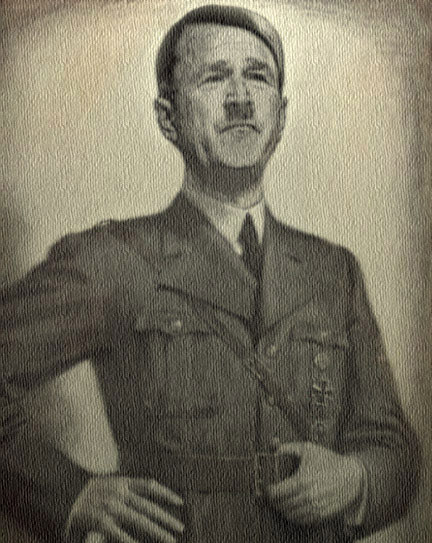 Hitler is an equal opportunity bogey-man in America. If this was just the work of a couple crazies that take to the streets, that would be one thing; but, of course, it’s not. The shout of “Nazi” has also been used by our politicians in Washington on the floor of the House of Representatives. On the satirical Daily Show, John Stewart has attacked such tactics. Stewart has also humorously illustrated that smearing the other side with the ‘Nazi’ moniker is an everyday occurrence in the world of the 24 hour news cycle programs and talk radio. Perhaps the most disturbingly absurd media example came in 2009, when Supreme Court nominee Sonia Sotomayor and President Obama were lambasted for arguing that empathy was an important trait for a Supreme Court Justice. Glenn Beck, the most infamous ‘boy who cried Nazi’, somehow found a connection between Sotomayor’s and Obama’s belief in judicial empathy and Adolf Hitler’s supposed use of empathy to justify ‘putting down’ the sick and mentally challenged using the T4 euthanasia program. Yikes! So, are internet users simply using logical fallacies? Has Avenir de la langue française overstated their case? 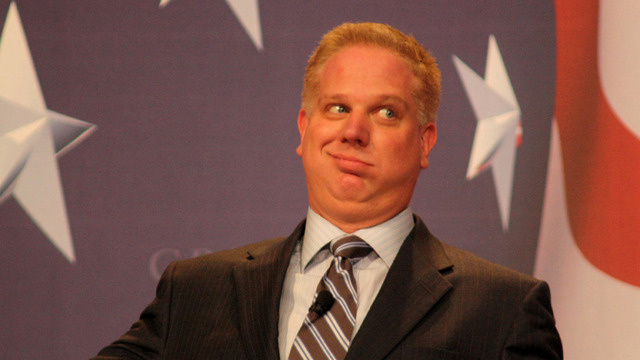 Is Glenn Beck drawing historical corollaries to simply smear his political opponents? Well, yes, and that is disturbing enough. But, using the Nazi affront has even more treacherous consequences. Those who equate their political, social or cultural enemies with Nazis believe that they can clearly see the present, because they have an understanding of the past. Beck and his ilk feel their vigilance of Nazism reborn is based upon the old cliché that those who forget the past are doomed to repeat it. They repeatedly proclaim that their stark grasp of history repeating itself must be appreciated. Those who follow ‘Godwin’s Law’ are the prophets; the solitary voices in the wilderness. Ironically though, the hyperbolic commentators are doing the opposite. They do more than simply FORGET history; they expunge it. 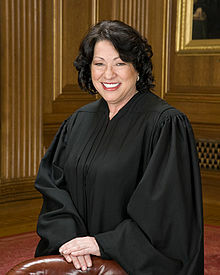 If a radio talk-show host equates Sonya Sotomayor’s or Barack Obama’s ideals of empathy with Reinhard Heydrich’s ideals, this is more than a horrible insult to Justice Sotomayor or Obama (which, of course, it is). This is an insult to the millions who died in the Operation Reinhard camps (Treblinka, Sobibor, Belzec); the hundreds of thousands who were worked as slave laborers by Heydrich’s SS; the millions whose homes and lives were destroyed by the Nazi war machine. These millions of people erased from history truly experienced Nazi ‘empathy’. Beck’s particular equation of Sotomayor’s empathy to this type of ‘empathy’ should make us take serious pause in regards to his ethics, if not his sanity. As with all clichés, there is a good bit of truth in the statement that if we forget our past, we are doomed to repeat it. The problem is the ridiculous usage of Nazi as an attack term makes us forget what really happened in the past. And so, a reminder: President Obama is not Hitler; President Bush is not Himmler; and the use of ‘hashtag’ in France is not the same as the creation of the Vichy puppet government. To make such a hyperbolic analogy is a slap in the face to us all. 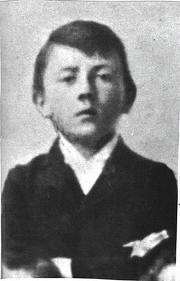 Adolf. What an evocative name. The name itself is almost a taboo. I feel dirty writing it. It is not used in polite company. At a time when ‘old-fashioned’ names are making a comeback, Adolf is an antiquated name that doesn’t have much hope. It is marred by darkness, hatred and murder. Of course, the surname we associate with it is Hitler; our next thought is Nazism; lastly, the Holocaust. Why has Adolf retained such a negative aura 70 years after the end of the war that he began? Other members of the Nazi party who were just as guilty don’t have first names that live in infamy. 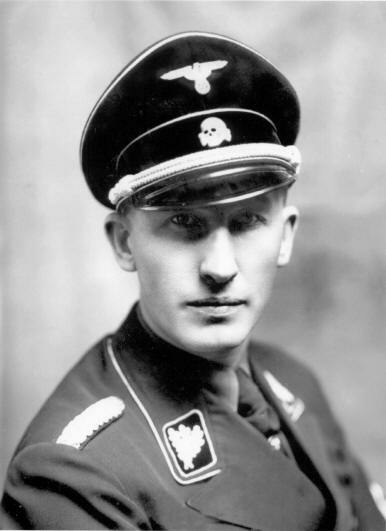 If you wanted to name your child Heinrich, not many people would instantly think of Himmler. What about Hermann? Our minds don’t automatically race to Goering. Well, you may say, Hitler was the face of the Nazi party, and, hence, the face of murder. But, what about Josef (Joseph) or Vladimir? If you met little boys by those names, most wouldn’t think of Stalin (who killed more people than Hitler) or Lenin. So, why is Adolf so different? Why can there only be one Adolf? First of all, the name is still ‘owned’ by white supremacists, and has never been ‘appropriated’ by rational folks. This was shown tragically in 2007, when two white supremacist parents living in New Jersey named their child Adolf Hitler Campbell. I write ‘tragically’ because it is easy to foresee that child being brainwashed into a world of hatred and violence. The government of New Jersey agreed with this assessment, and took the young boy away from his parents in 2011. Though the state’s reasoning was based upon more than simply the name he was given, the moniker was obviously a frightening omen. Second, the period and ideology we associate with Adolf is still fresh in our historical memory. This is a good thing. The fact that Adolf is a name off-limits illustrates that people appreciate the evil of genocide and the Holocaust. Americans are notorious for forgetting things that happened 7 years ago, much less 70, but the horror that Adolf represents is understood as being something that we can never allow again. This seems all well and good, but perhaps there is a danger here. Adolf as the symbol for the evil of Nazi Germany distorts and simplifies our understanding of history. Adolf was not a one man wrecking crew who made some nasty speeches, barked orders, and physically forced Europeans to kill 10-12 million innocents. His were not the only hands covered with blood. The attempt to make him into the devil incarnate has actually been utilized by Europeans for decades to separate themselves from what happened in Nazi Germany. The reason: Making Hitler the lone evil exculpates millions who were also guilty, and hence, buries the most important lesson to be learned from the Holocaust. The moral horror of the Holocaust was not simply Hitler’s ideas; it was that millions of ‘good’ Germans, and ‘ordinary’ Europeans saw little reason to fight against them. Depressingly large numbers of people idly stood by, pulled levers, pushed buttons, and signed papers that fired the engines of mass death. When apathy and acceptance was the response to Nazi ideas and policies, Adolf had won a significant victory. By avoiding his name for 70 years, people have tried to make sure Adolf didn’t win the war.